Helen McCutcheon is Professor and Head: School of Nursing, Midwifery and Social Work. 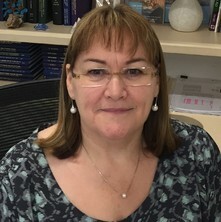 Helen arrived at UQ mid 2015 after being Executive Dean at the Florence Nightingale Faculty of Nursing and Midwifery at King’s College London. Her areas of expertise are in leadership and change management and she researches in the areas of patient focussed health outcomes, caring for the older patient in acute care and more recently in collaboration with colleagues at King’s College London experience based co-design. She was made an honorary Vice President of the Florence Nightingale Foundation in the UK and is a member of the Council of Deans of Nursing and Midwifery in Australia. Journal Article: Water immersion policies and guidelines: how are they informed? The Sustainability of Evidence-based Pain Management Practices in Aged Care. Water immersion policies and guidelines: how are they informed? Cooper, Megan, Warland, Jane and McCutcheon, Helen (2017) Water for labour and birth: getting back to the art of doing nothing. MIDIRS Midwifery Digest, 27 1: 53-58. Gardner, Andrew and McCutcheon, Helen (2015) A constructivist grounded theory study of mental health clinicians' boundary maintenance. Australian Nursing and Midwifery Journal, 23 6: 30-33. Gardner, Andrew, McCutcheon, Helen and Fedoruk, Maria (2013) Discovering Constructivist Grounded Theory’s fit and relevance to researching contemporary mental health nursing practice. Australian Journal of Advanced Nursing, 30 2: 66-74.
Cooper, Megan, Warland, Jane and McCutcheon, Helen (2013) Diving In: A dip in the water for labour and birth policy debate. MIDIRS Midwifery Digest, 4 9: 32-37. Becker, Susanne, McCutcheon, Helen and Hegney, Desley (2010) Casualisation in the nursing workforce – the need to make it work. Australian Journal of Advanced Nursing, 28 1: 45-51. Gardner, Andrew, McCutcheon, Helen and Fedoruk, Maria (2010) Superficial supervision. Contemporary Nurse, 34 2: 258-266. Williamson, V. and McCutcheon, H. (2007) The experiences of Australian women diagnosed with postnatal depression who received health professional intervention. Singapore Nursing Journal, 34 3: 39-44. Observations and vital signs: ritual or vital for the monitoring of postoperative patients? Mealtimes in hospital – who does what? Jayasekara, Rasika S. and McCutcheon, Helen (2006) The history of nursing services and education in Sri Lanka and the effects on developing professionalism. Journal of Nursing Education, 45 10: 391-395. Page, T. and McCutcheon, H. (2004) Indecent exposure: a descriptive study of wound exposure times associated with dressing changes. Wound Practice and Research, 12 4: 170-179. Evidence-based practice: to be or not to be, this is the question! Pincombe, Jan, Brown, Margaret and McCutcheon, Helen (2003) No time for dying: A study of the care of dying patients in two acute care Australian hospitals. Journal of Palliative Care, 19 2: 77-86. Dempsey, Dana, Conroy-Hiller, Tiffany, O’Neill, Susan and McCutcheon, Helen (2002) Descriptive study of nurses’ compliance with postprocedural vital sign measurement in a gastrointestinal investigation unit. Gastroenterology Nursing, 25 5: 181-187. Williamson, V. and McCutcheon, H. (2002) Postnatal blues. Singapore Nursing Journal, 29 2: 32-36. Jones, Tina and McCutcheon, Helen (2002) Effectiveness of mechanical compression devices in attaining hemostasis after femoral sheath removal. American Journal of Critical Care, 11 2: 155-162. FitzGerald, Mary and McCutcheon, Helen (2001) Engaging nurses in clinical research. Nursing Times, 97 37: 38-39. Cullen, M., Johnstone, M., Sarzin, A., Sneddon, R., Field, J., McCutcheon, H., Burton, L. and Lockwood, C. (2000) Nursing focus - postgraduate education. Australian Nursing Journal, 8 3: 33-39. Baulis, Hannah, Montagu, Adam, Davies, Ellen, Wake, Megan, O'Shaughnessy, Kevin, Deuter, Kate, Gillham, David and McCutcheon, Helen (2011). The use of audio-visual communication strategies in the emergency waiting room to improve patient and staff satisfaction. In: 9th International Conference for Emergency Nurses, Adelaide, SA, Australia, (S28-S29). 28 September - 1 October 2011. Smith, Colleen, Gillham, David, McCutcheon, Helen and Ziaian, Tahereh (2008). Online simulation: innovative strategies to promote student engagement in learning and assessment. In: Engaging students in assessment. ATN Assessment Conference 2008, Adelaide South Australia, (299-307). 20-21 November 2008. Ullrich, S. and McCutcheon, H. (2007). A descriptive study of nursing practice in relation to oral fluid intake of older people with dementia. In: 40th National Conference of the Australian Association of Gerontology, Adelaide, SA, Australia, (A51-A51). 21-23 November 2007. Evaluating the validity, reliability and feasibility of a falls risk assessment tool recommended for use in Australian residential aged care facilities.A mixed methods study.